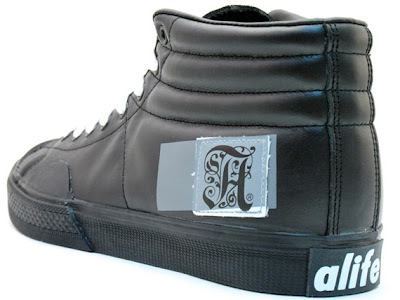 The Alife Shell Toe Hi-Lite was recently released as part of the Alife Fall 09' collection. 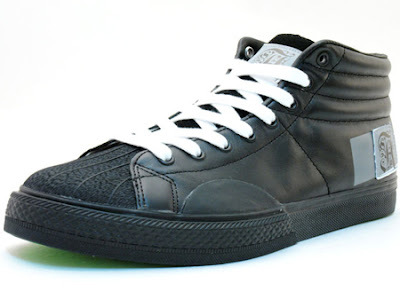 Today more colorways have surfaced for this sneaker, inspired by the Adidas shell toe - namely the black/green and gray/pink colorways. 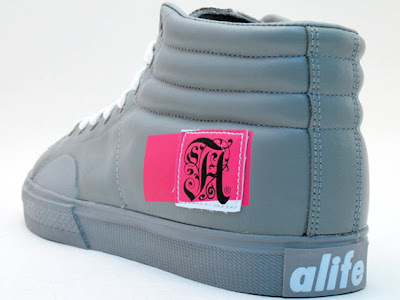 The Alife logo is present on the side heel, as well as the back of the midsole and tongue. I cant wait to slip my feet into a pair, they look pretty comfy to me!